Following the weaker than expected USD Jobless Claims and Trade balance last week, the EURO managed a slight recovery against the DOLLAR from the previous week. 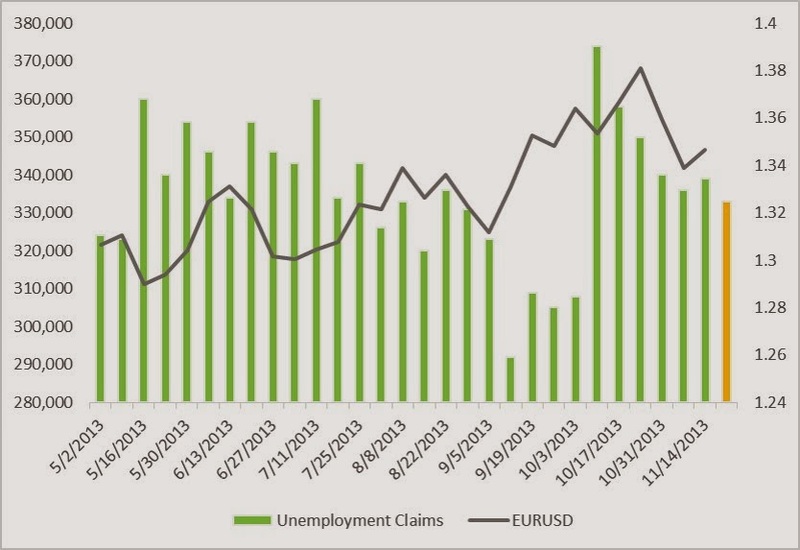 Analyzing just the relationship between the EURUSD pair and Jobless claims, the general observation supports a better than expected unemployment claim number acts an stronger DOLLAR catalyst. Finishing this trading week, the EURUSD is likely to remain volatile as traders brace for the remaining fairly heavy economic impact calendar. 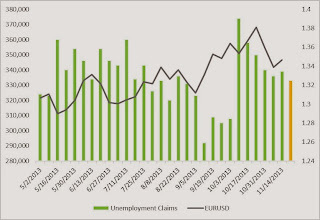 US Jobless claims are expected to improve which is likely to put further pressure on the EURO but this remains contingent on the other economic indicators and their results.